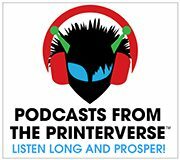 I caught up with Eric Hawkinson, Senior Director of Marketing at Canon Solutions America, Production Print Solutions, and tossed him a few questions about drupa to share with you. Without a doubt, one of the most buzz-worthy subjects throughout the Messe was Voyager, a prototype inkjet press Canon had in their booth. I’m not fully versed in what it can do, how it’s different than other inkjet offerings, and if we will ever see one out in the marketplace, but it’s something you should know about to keep on your radar. I only visited with my Canon Solutions America friends at drupa for a few minutes when they were in between customer events, so Eric made some time to share information with you we didn’t have time to share from Germany. DANKE Eric! DC: How did Canon #UnleashPrint at #drupa2016? 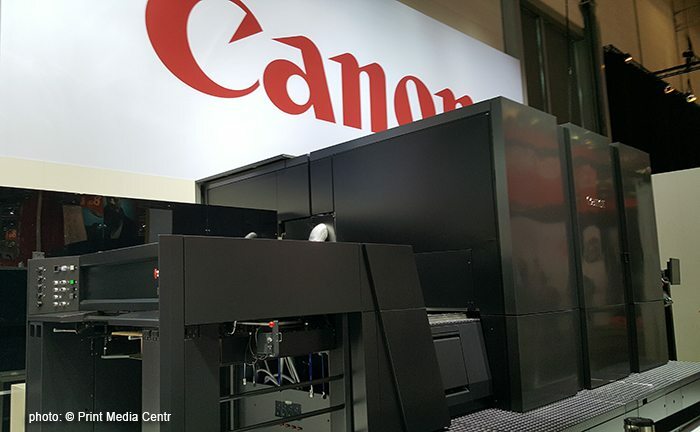 EH: The Canon booth at drupa featured products from all across our printing divisions including the ColorStream series, VarioPrint i300 with ColorGrip, and the latest in Large Format and Enterprise Solutions. And what seemed to be quite popular, we debuted new ground breaking technologies with our investment in 3D printing. In every area of the booth, Canon brought to life its new campaign to #UnleashPrint. This theme signifies our passion for print as a unique and powerful medium, celebrates the value of print, and sets out to unlock print’s still untapped potential. At drupa 2016, visitors discovered how Canon can help them “unleash print” by combining technology innovation with expertise in implementing intelligent new business models that elevate print’s ability to respond to changing customer needs. The booth covers our entire product line and is an exceptional showcase of the variety of solutions we offer to Print Service Providers. DC: There was MUCH buzz over Voyager… what is it, and why is it being called an inkjet game changer? EH: The undisputed talk of the show was a surprise product that Canon showcased in our booth – code name Voyager. Canon expects Voyager to be of interest to print service providers producing high added-value applications, such as catalogues, brochures, marketing materials, and customer publications where the quality of image reproduction is paramount. This inkjet photo press could be a game changer for the company. At a B2+ sheet size, seven colors and 3000 sheets per hour – this machine changes the way production inkjet is viewed by commercial printers today. What we saw at drupa was a prototype and simply based on those results, we have reason to be very excited as the quality and speed were tantalizing. Able to offer high value-added applications with ultra-high photo quality, automatic duplexing and a broad range of media versatility, the Voyager is powered by a new EFI high performance front end and brings new, Canon patent pending, inkjet technology to the commercial print and photo markets. This new inkjet press will live up to it’s code namesake and take printers on a voyage enabling them to print more resulting in new revenue streams. DC: What other exhibitors and/or technologies caught your eye at drupa, and why? EH: The Tecnau booth was closely integrated into the Canon booth at the show and Tecnau showed the Libra 800 fully integrated inline with the Océ ColorStream 6000, The Libra 800 is a fully automated and variable book finishing solution targeted at short run and book on demand printers. The system was configured with one input channel from the Océ ColorStream 6000 dual roll, to slit & merge, high speed cutter and variable book block stacker, automatically delivering book blocks to the Libra 800’s integrated perfect binder. A second input channel from roll can be added to the configuration to support both 20-inch and 30-inch web width, 2up, 3up and 4up impositions for the ultimate in flexibility of print and finishing. The two main modules, Libra VB Variable Binder and Libra VT Variable Three-Knife Trimmer, can adapt on the fly to changing book formats at speed. Each book can be different from the next in thickness, page width and page height without compromising the productivity of the system. Libra 800 feeds standard size covers and cuts them down to the appropriate book size, with variable side trimming, front cut and on demand scoring features. Additionally the Océ ColorStream 6000 was fed by two Tecnau unwinders and the u40 zero speed splicer that automatically changes input rolls, thus eliminating printer stoppages for roll changes and keeping your printer running at full speed and full productivity. DC: What is the predominate influence drupa has on the print industry (if any), and give us three reasons why drupa should be experienced at least once. EH: Drupa is considered to be “The Olympics” of print for a reason and we brought over 60 customers to witness the sheer size and scope of what this show offers. Not only does this show preview upcoming technologies for our industry, it gives us the chance to see where our industry is headed at a global level. 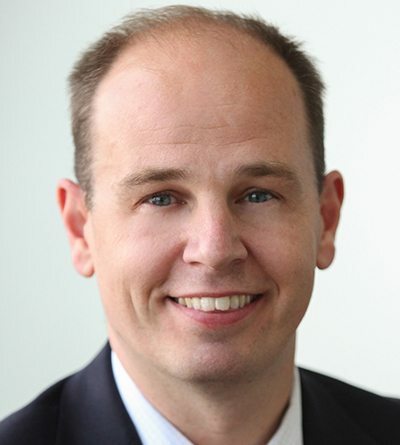 Eric Hawkinson, is Senior Director of Marketing at Canon Solutions America, Production Print Solutions. Eric has been part of the Canon Solutions America team for more than 3 years, but his involvement in the graphic arts industry spans more than a decade. His experience and passion for building communities give him a unique perspective on the power of networking, which he leverages to bring people together. Prior to Joining Canon Solutions America, Eric spent more than 7 years serving as the Global Executive Director of Dscoop, an independent community of business owners and technical professionals. There he used his skills in strategic partnerships to grow the user group into an international organization. More recently, he has assisted in founding and serving on the Board of thINK – an independent Canon Solutions America User Community aimed at expanding the knowledge and reach of inkjet technology. Eric is also active on the Board of Two Sides, a non-profit initiative by companies from the Graphic Communication Value Chain. Its common goal is to promote the sustainability of the Graphic Communications Industry and provide users with verifiable information on why Print and Paper can be an attractive, practical and sustainable communications medium. Eric resides in Boca Raton, Florida with his wife Amy and three children, Hanna, Tyler and Oliver.